(CBS) CHICAGO - The violence continues in Chicago, with a 10-year-old girl among more than a dozen people shot across the city Tuesday night and early Wednesday, reports CBS Chicago. There are conflicting reports of the number of people shot, with CBS Chicago counting 16, and the Chicago Tribune counting 15 in the past 24 hours. The Chicago Police Department told Crimesider they could not provide an exact figure. The girl and a man were with a group of people cooling off from the heat at an open fire hydrant when they were shot about 11:20 p.m. police News Affairs Officer Hector Alfaro said. The girl, who was reportedly shot in the left wrist and abdomen, was taken to the hospital in critical condition. The man, 24, was shot in the right heel, police said. It has been a bloody year for the Windy City so far. On Sunday, the Chicago Tribune reported that homicide was up 37 percent in the first half of 2012, and shootings were up nine percent. 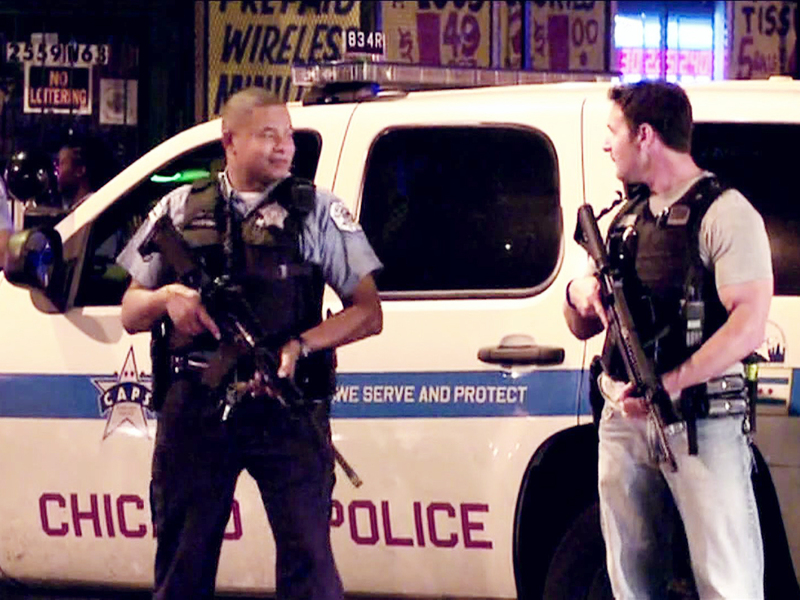 Chuck Wexler, the executive director of the Police Executive Research Forum, told Crimesider that he thinks the violence in the city is due to "a combustible mix of the number of guns in Chicago and the number of gang members." On June 27, 7-year-old Heaven Sutton was gunned down as she sold snow cones near her home with her mother. Jerrell Dorsey, 26, was charged with her murder over the weekend. Over the weekend of June 16, eight people were killed and 45 wounded in shootings or stabbings around the city, according to CBS Chicago. The next weekend, the station reported that shootings claimed the lives of four people - including two teenage boys - and wounded at least 30 other. Others shot over the last 24 hours included a 15-year-old boy wounded while playing basketball around 5 p.m, officials said. An unknown shooter reportedly took out a gun and opened fire, hitting him in the left arm. In another incident, two women and one man were wounded in a possibly gang-related drive-by shooting at 7:28 p.m., according to police. The two women were in taken to the hospital in critical condition and the man was taken in stable condition. Police said one of the women was shot in the back and the other was shot in the knee. The man was shot in the leg.